Faced with multiple converging crises humanity is challenged to fundamentally redesign the human presence on Earth within the lifetime of the generations alive today. Daniel Wahl explores how we are beginning to shift our human impact from degeneration to regeneration. If we choose to, we are capable of designing diverse regenerative cultures elegantly adapted to the bio-cultural uniqueness of place! After the post-war Baby Boomers came Generation X, followed by Generation Y — the millennials — and Generation Z — the iGeneration. So what’s next? 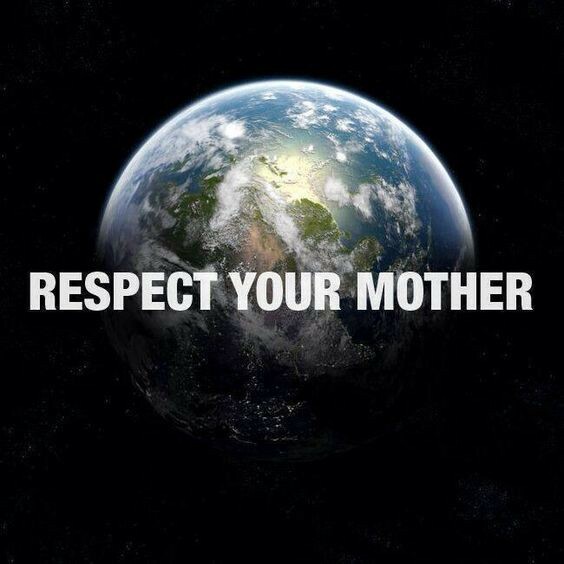 Creating a viable future for humanity on an overpopulated planet in crisis requires all of us to collaborate, across generations, ideologies and nations. We all will need to join the re-generation! How do we keep the lights on, avoid revolution and turmoil, keep children in school and people in work, yet still manage to fundamentally transform the human presence on planet Earth before ‘business as usual’ leads to run-away climate change, a drastically impoverished biosphere, and the early demise of our species? It is time to step back from our cultural predisposition to want solutions and answers as quickly as possible. Do symptomatic quick fix solutions — rather than systemic transformation — actually serve the necessary culture change? Or, are they merely premature responses to mistaken problem statements created within an outdated way of thinking, based on a cultural narrative that no longer serves humanity? By daring to ask deeper questions we begin to see the world differently. As we engage in conversation about such questions, we collectively begin to contribute to the emergence of a new culture. Questions — and the dialogues they spark — are culturally creative. We need to make sure we ask the right questions if we hope to bring forth the thriving, resilient, regenerative cultures and communities most of us long to live in. The word sustainability begs the question what it is that we are actually trying to sustain: an outdated cultural narrative, an unhealthy conception of the relationship between humanity and nature, business as usual in a deeply inequitable world? Rather than simply sustaining a structurally dysfunctional system and worldview, our questioning has to go deeper. We need to search for new ways to restore ecosystems, celebrate cultural diversity, initiate a worldview change, and facilitate the transition towards diverse cultures that regenerate not just vital resources and community resilience, but contribute to the health and vitality of nature’s life support systems. Such cultures will assure the future of life as a whole and not merely sustain a humanity divorced from its roots and alienated from the ground of its own being. What questions might serve to find potential pathways towards a regenerative human presence on Earth? Could we define a set of questions to offer an effective cultural compass that would help us steer our way into an uncertain and unpredictable future? Questions can help us navigate overwhelming complexity with humility and in full recognition of the limits of our knowing. In Designing Regenerative Cultures, I explore a wide range of such questions along with many solutions and answers as transient means to ask even better questions. More and more people are becoming aware that all our individual and collective actions and inactions are in fact interventions and do shape our collective future. This insight can motivate people to assume conscious responsibility for their role as change agents in the transition towards diverse regenerative cultures. If not us, then who? If not now, then when? In the face of multiple converging crises, mere sustainability is no longer enough. Too much damage has already been done. We need to restore ecosystem and community health, and create regenerative systems that allow us to face uncertainty creatively. To do this we need to go beyond “sustaining innovation” and “disruptive innovation” — as described by Clayton Christensen (1997) — and effectively engage in transformative innovation. Any proposed innovations should be evaluated based on its potential capacity to serve as a stepping-stone towards regenerative cultures. 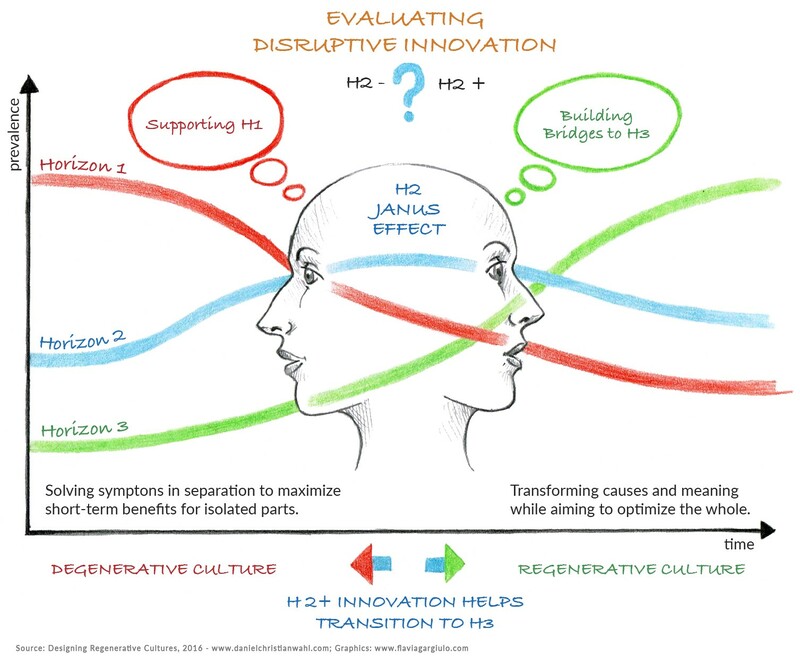 Transformative innovation requires integrative whole systems thinking. We can innovate win-win-win solutions and design for systemic synergy. To do so, we need to understand the interconnected nature of the converging crises and respond with an integrative and participatory approach to this complexity. If we pay attention to the appropriate scale, we can create solutions where the individual, the community and the ecosystem benefit. The word resilience has become very fashionable, yet not many people have bothered to dive deeply into the rich understanding that 40 years of studying change and transformation in ecosystems has provided us with. Resilience research offers important insights for the co-creation of regenerative cultures. We can design for transformative resilience to keep our options open and anticipate the unexpected. To do this, we need to value diversity, adaptability, redundance at multiple scales, and pay attention to the qualities of relationships and information flow. Transformative resilience is our individual and collective ability to anticipate possible futures and to maintain our health and integrity while we adapt and transform in response to the continuously changing socio-ecological systems we participate in. Over the last 20 years, our understanding of the role of design in the transition ahead has expanded drastically. Design is the way our worldview and value systems express themselves in our material culture, through the artefacts, systems and processes we create. Past design decisions — like the buildings and cities we inhabit — in turn shape our worldview and value systems. Design is a conversation through which different perspectives are integrated into culturally creative action. Clearly, there are limits to the extent that we can design regenerative cultures. All complex dynamic systems — our communities and cultures included — are fundamentally unpredictable and controllable. 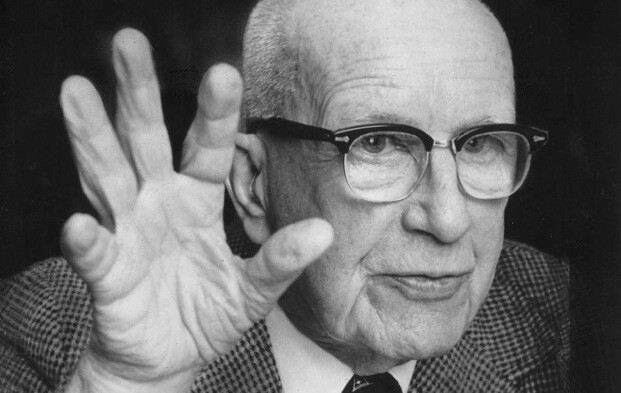 We have to learn to see design and emergence of unpredictable novelty as two faces of the same coin. This will help us to design with humility and careful attention to systemic feedback. The false dichotomy between nature and culture is the root causes of many of the converging crises we are facing. Applying the lessons of eco-literacy and engaging in nature inspire innovation and design (biomimicry) drastically improves our capacity to meet human needs while re-designing the human presence on Earth. We can do more than simply learn from nature: we are capable of designing as nature: maintaining ecosystems integrity, nurturing systemic health, and strengthening the planetary live support system we depend upon! We are already designing as nature. There are inspiring examples ranging in scale from green chemistry, product design, sustainable architecture, community design, industrial ecology, to urban and regional planning. 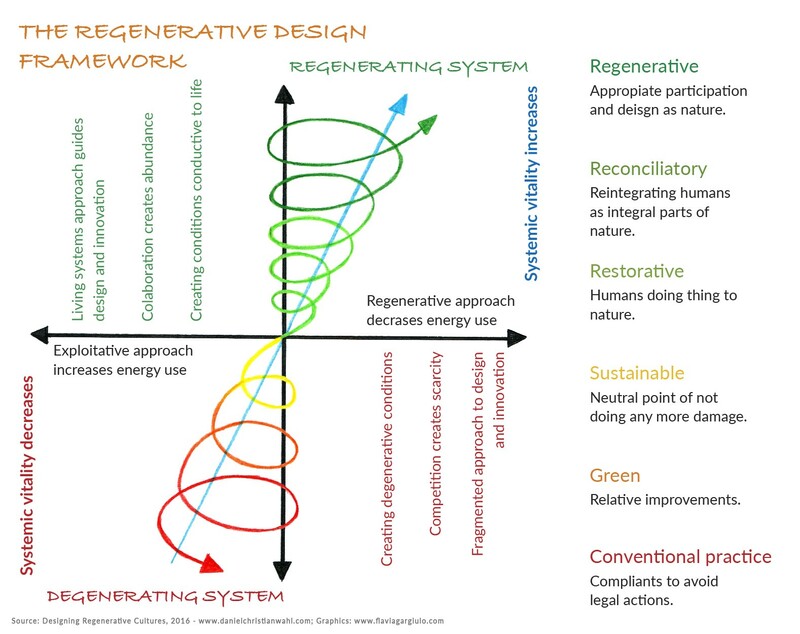 Building on the work of pioneers like John T. Lyle and William McDonough, the architect Bill Reed and his colleagues at the Regenesis Group have created a framework for regenerative design that transcends and includes green, sustainable and restorative approaches as stepping stones on our learning journey towards a regenerative human impact on Earth. Here is a short video (90 seconds) explaining this framework for shifting our mental models. Let me give you just a few examples how we are already applying systemic biomimicry and an understanding of nutrient, energy and material cycles in mature ecosystems to the redesign of our impact on the rest of nature. The World Future Council and Herbert Girardet called for a transition from “petropolis” to “ecopolis” through the creation of regenerative cities. Allan Savory’s work on holistic land management and holistic planned grazing offers tested methodologies for regenerating degraded grasslands and prairies. These techniques are part of the toolbox of regenerative organic agriculture. This approach to the production of food and key resources for regional bio-economies also offers an effective way to slow down climate change and eventually return to pre-industrial levels of carbon dioxide in the atmosphere. The same techniques also regenerate soil fertility and aquifers through storing the carbon underground in the form of organic matter and root-mass. This short video (80 seconds) — from one of John Liu’s inspiring documentaries on large scale ecosystems regeneration — shows how China regenerated 8.6 million acres of heavily degraded land on the Loess Plateau in only 10 years. Regenerative intentions and practices are spreading into all walks of life. Just in the last three years, we have started important culturally creative conversations about the transition to regenerative enterprise, regenerative capitalism, and a regenerative society. We are capable of aligning ourselves as evolutionary activists and culture change agents with the regenerative principles that have guided life’s evolution to increasing diversity, integration, and cooperation. “Life creates conditions conducive to Life!” (Janine Benyus). In the end it comes down to asking ourselves: Will we continue to strive to out-compete each other and in the process unravel the thread that all life depends upon? Or, will we learn to collaborate in safeguarding Earth’s life-support systems through transformative innovation and regenerative design? Will we co-create vibrant regenerative cultures and thriving communities for all? Choosing the path of regeneration and cooperation will create a greater level of wellbeing, health, happiness and equality for everyone and all life; and in the process of co-creating a better future together, our lives will be more meaningful, fulfilling, creative and fun. That is the promise to those ready to join the Re-Generation! If we choose to, we can generate collaborative abundance for all. The first step is to pause and ask: What if we choose collaboration and regeneration over exploitation and degeneration? What if we choose to thrive together, rather than compete against? 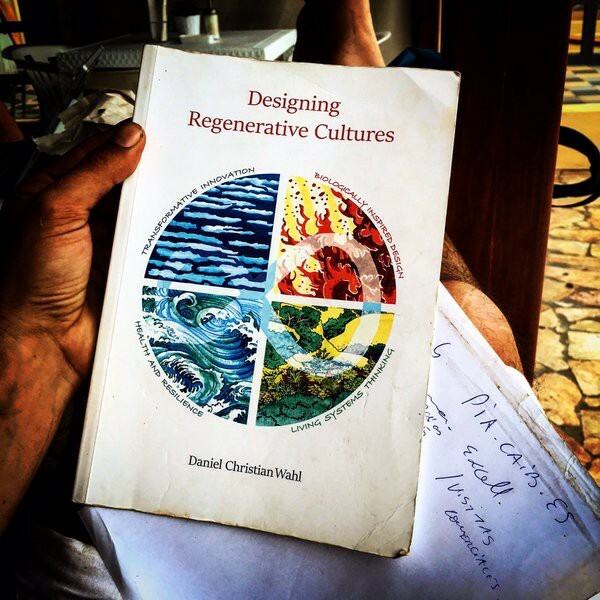 Daniel Christian Wahl works internationally as an educator, activist and consultant, specialized in whole systems design and transformative innovation for regenerative cultures. Trained as a biologist (University of Edinburgh, 1996), he holds a Masters in Holistic Science (Schumacher College, 2002) and a PhD in Design (University of Dundee, 2006). Daniel is a member of the International Futures Forum, a fellow of the RSA, and a Findhorn Foundation fellow. He has co-authored all four dimensions (social, ecological, economic, worldview) of Gaia Education’s UNESCO recognized on-line curriculum in ‘Design for Sustainability’, and his first book — Designing Regenerative Cultures — was published by Triarchy Press in 2016.